Yesterday it was the open show. We were watching films until 5:00 am!!!!!!!!!!! So everyone is a bit exhausted. 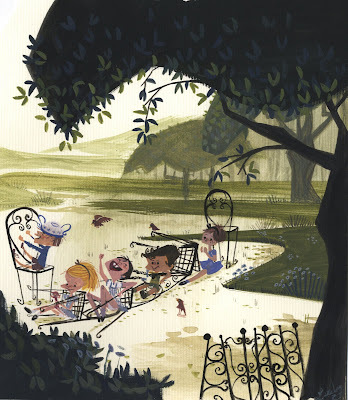 Here is a painting of a few french kids in the park riding their choo choo train!